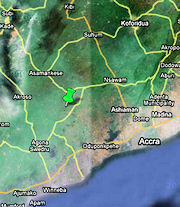 The factory is located northwest of Accra. N 5o 42' 2.57", W 0o 34' 6.75"
ISI has been nominated for an award during the official opening ceremony attended by His Excellency President John Kufuor. 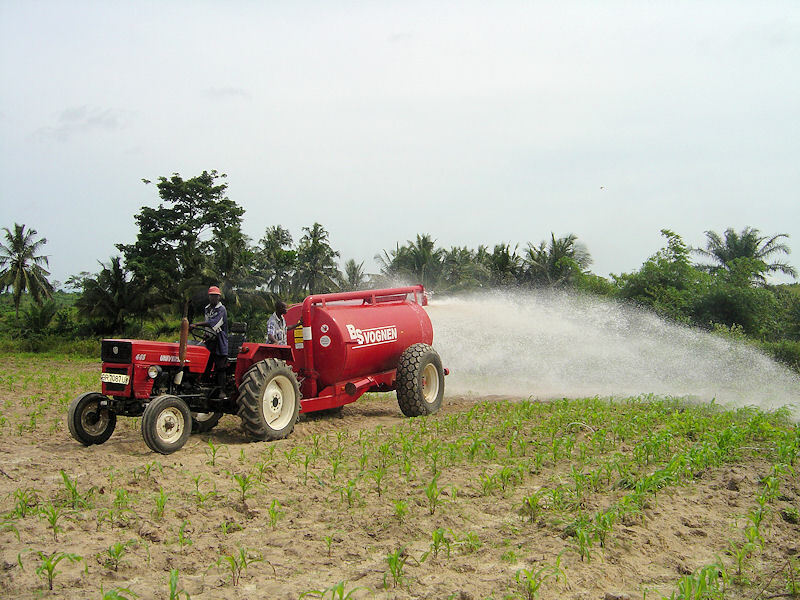 Land spreading of cassava juice as a fertilizer. 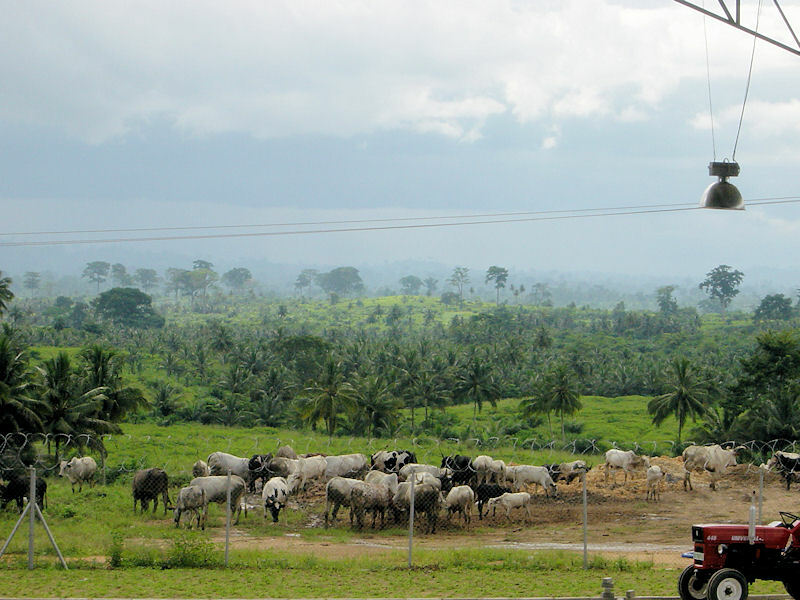 Cattle being fed on cassava pulp residues. Courier with the very first bag of cassava starch to president Kufuor. The starch is marketed as a branded product, packed and labeled in bags with our internationally registered trademark. 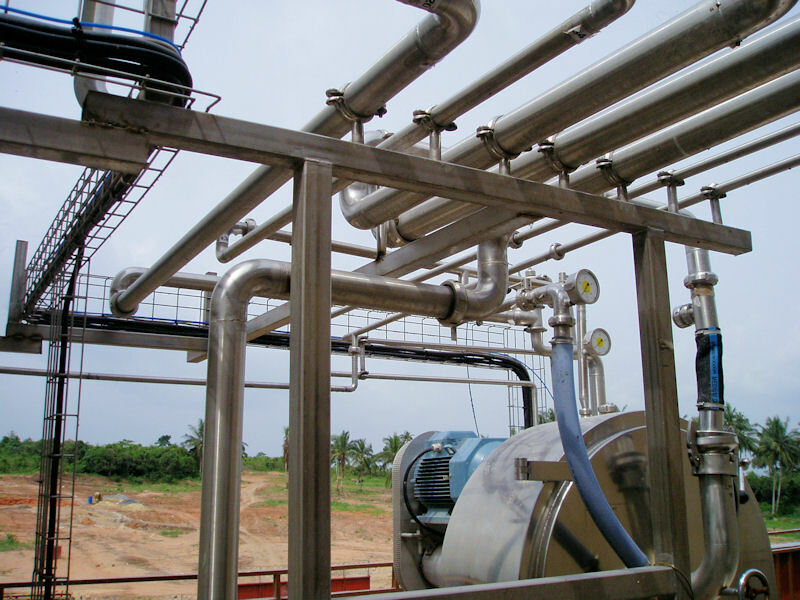 Modern Ghana News: First factory for starch production. President John Kufuor established a working group "Presidents Special Initiative" to promote the agro-food industry. 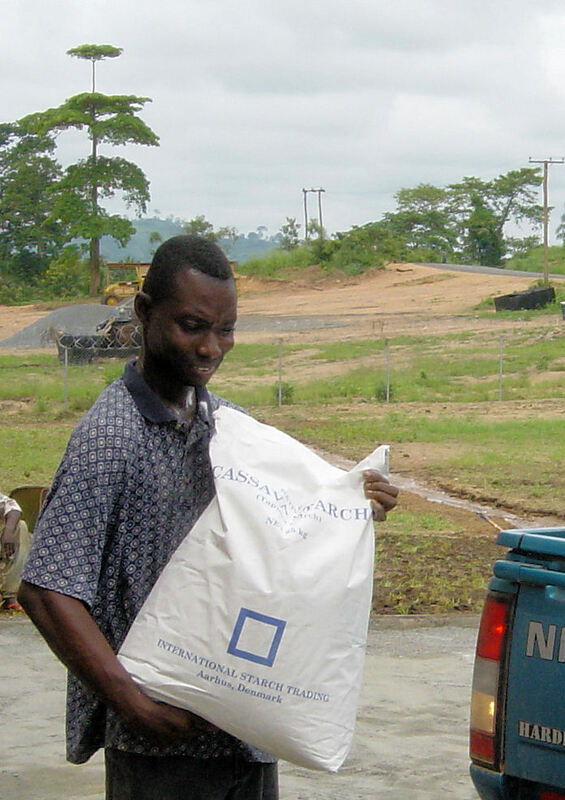 "Redhill" in South Africa had just been finished as the first modern cassava starch factory in Africa and PSI decided to follow up on that success and introduce the same technology in Ghana. The initiative was backed up by government, farmers, local banks and others. From the Danish side Danida went in with a comprehensive three-year training package. 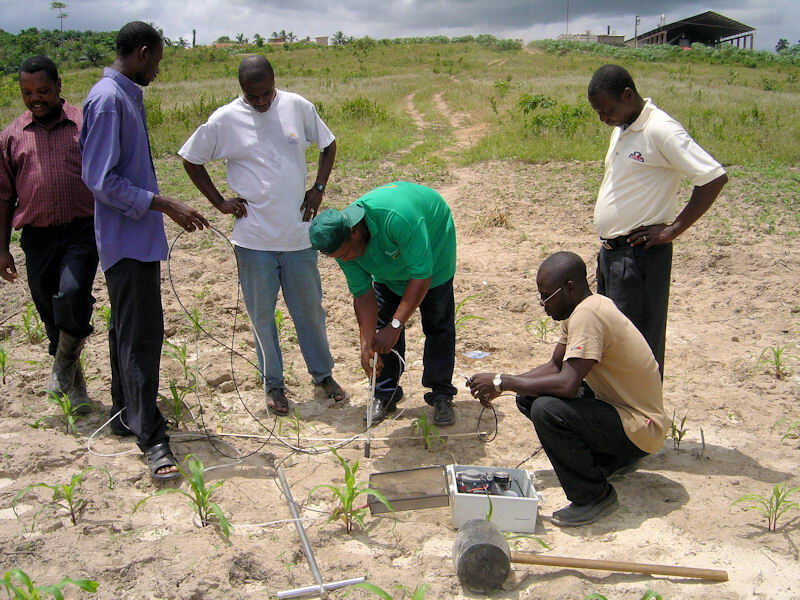 This package included, inter alia approach to the use of effluent as fertilizer on farmland by land spreading and methods to monitor fertilizer efficiency as well as any nitrogen leakage to sub soil waters. Photo: Monitoring the fertilizer efficiency of juice landspreading by sampling of soil water. Samples were analyzed daily on the factory's own laboratory, and some were sent to our central laboratory for measurement of specific micronutrients. Our sister company International Starch Trading agreed to export the starch - preferably to the European Union on license issued under the LomÃ© Trading Act. The starch was filled in 25 kg multilayer paper bags and in one ton big bags. For large consumers we developed a brand new method for shipping the starch in bulk packed in lined containers and method to reverse the process when the containers reached their destination. 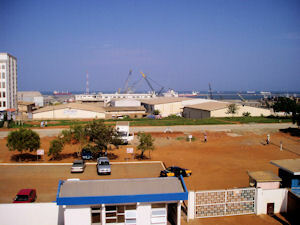 Photo: Starch is exported out of Thema _ a very busy port. With Danida support a technical management agreement was put in place with highly trained starch specialists on location during a three year period.